I read A LOT of flashlight reviews. 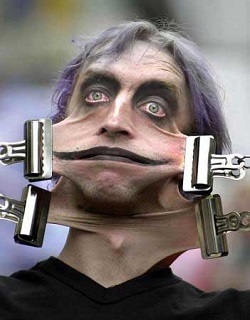 Like the “Geico” people say…. it’s what I do! Anyway, I continue to be astounded by the number of reviews I read, by people who have bought generic flashlights on the internet, only to later be sorry. Reports that they’ve broken (or simply stopped working) within a fairly short period of time is quite common. HOW MANY TIMES CAN I SAY …. I TOLD YOU SO!!?? What is a “Generic” Flashlight? This definition might vary, depending on who you ask. So, what follows, is MY definition. And as far as I’m concerned, it’s the ONLY definition you can take to the bank! I am going to be gloriously self-absorbed with my opinion on this, because I am right! A generic flashlight is one which is basically “cloned” from a ‘master’ design. In essence, ONE type of flashlight is produced…. by the millions, then sold… IN BULK… to a whole bunch of different distributors. THEY in turn, laser, print, stencil or litho, THEIR name onto the light and call it “their own”. The image below is a perfect example of such a flashlight. I KNOW you’ve seen these before! These are dirt cheap flashlights, with the cheapest components. Sometimes, they even lie about the type of LED it has! Because you know what? I don’t even think they KNOW which LED in has! How COULD they? After all, THEY didn’t manufacture it! All they did was BUY about 100,000 of them for about .50 cents each! Then sell them for $15 each! Nice markup huh? For some inane reason, consumers who seek a new, possibly first-time LED flashlight, seem to latch-on to THESE particular types of lights — which I might add, are a DIME-A-DOZEN on the Internet. I ask the question facetiously, because I know the answer. They latch-on to these PARTICULAR types of flashlights for several reasons. The main one being that if you perform an internet search for an LED flashlight… these seem to come up in droves! And because of that, merchants like Amazon have sold THOUSANDS of them! Hence, many of these lights have had over one thousand reviews. That in itself, is enough to convince a prospective buyer to get one, or two, or three. There’s power in numbers… and that’s what seems important to most people. You also have to realize that these buyers are NOT “seasoned” flashlight owners. They’re very inexperienced when it comes to these products! They buy them solely based on what OTHER inexperienced owners have said about them!! I have never been more serious about placing “labels” on people, as I am about this. In its simplest form, it’s the blind, leading the blind! For an example of this, just mosey over to the “questions” area of each product. 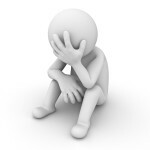 Some (potential) buyers, who actually ask the occasional intelligent question, are usually answered by current owners, who don’t even UNDERSTAND the question! They’ll post an answer, which has NOTHING to do with the question! Or, they’ll simply answer by saying, “I don’t know”. This is what I mean by ‘the blind leading the blind’. Questions that are easily answered by owners, are usually stupid. Yes I know… we’re taught that there are NO stupid questions… but in these cases, there are. When these potential buyers go searching for a flashlight, they do NO research OTHER than reading Amazon reviews of the products, again, of which 90%, are written by people who are just as inept ABOUT the products as they are! Do you understand how this can lead to issues? I’m sorry if I appear cruel towards these folks. This article makes no excuses. I’m just telling it the way it is! If you read enough online customer reviews, you’ll notice that about 20% of those who buy generic flashlights, usually end up regretting it. And that’s only from those buyers who REPORT their problems. Others who left a five-star review, maybe six months ago, could be experiencing issues now, but fail to update the review. Breakage of these lights is typical. Failures include the rear switch not engaging the light. The tension which aids the “head” in moving backwards and forwards (because these are “focusing beam” lights) becomes loose. The lens falls of, and often becomes lost. They drop it, and it ceases to work. It gets wet, and then ceases to work. It just STOPS working for no apparent reason!.. etc… etc… These unfortunate incidences can occur anytime, but are usually within the first two weeks, to six months of ownership. If bought from Amazon, most merchants won’t offer replacements after 30 days. 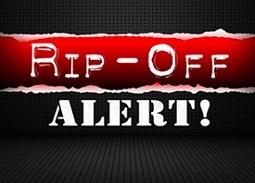 Some claim a “lifetime guarantee” then fail to respond to inquiries. The only recourse at that point, is to toss it out. 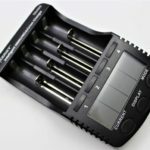 Those that are sold in a “kit” which include one or more 18650 batteries and a charger, are just as bad. The batteries are not circuit protected, and are low in capacity. The chargers use an extremely low current and take almost a full day to complete. And because the batteries have no protection, they can easily be overcharged on the cheap charger! They can also be over-discharged when used in the light!! This wears the battery down, so that it begins to HOLD a charge, less and less… and ultimately becomes useless! So, here’s a list (in no particular order of dreadfulness) of the most “popular” generic flashlight “brands”. Remember, you assume all responsibilities when purchasing any of these. They are NOT guaranteed to work, either out of the box, or after several hours, days, weeks or months, of either light, moderate or heavy use. This is just the tip of the iceberg! There are many more, and new ones pop up frequently. Naturally the ones with the most reviews get purchased first, so the more recently released ones often take awhile to get up to speed. I linked a few of them, so examples of what I’m talking about can be seen. Models will also vary. The two “types” that show up often are “A100” and “E6”. In the somewhat snobbish flashlight world that I live, it’s my opinion that the people who buy ultra-cheap, generic flashlights are fools, and make several mistakes while deciding which one to buy. Their first mistake is trust. They can’t imagine that what they’re about to buy is overpriced junk. They do NOT seek the advice of “experts” in the field. True, they may not know where to FIND an expert! But in these times of Google, you CAN find just about any expert you want. Most Amazon reviews are written by people for whom have never owned an LED flashlight before. The only ones written that speak negatively of the product, are from owners who already HAVE a better quality light to compare it to. Why did they buy the generic in the first place? Simple; they TOO were drawn-in by the cheap price, the (pre-breakage) five-star reviews, and the deceptive information stated on the product page. 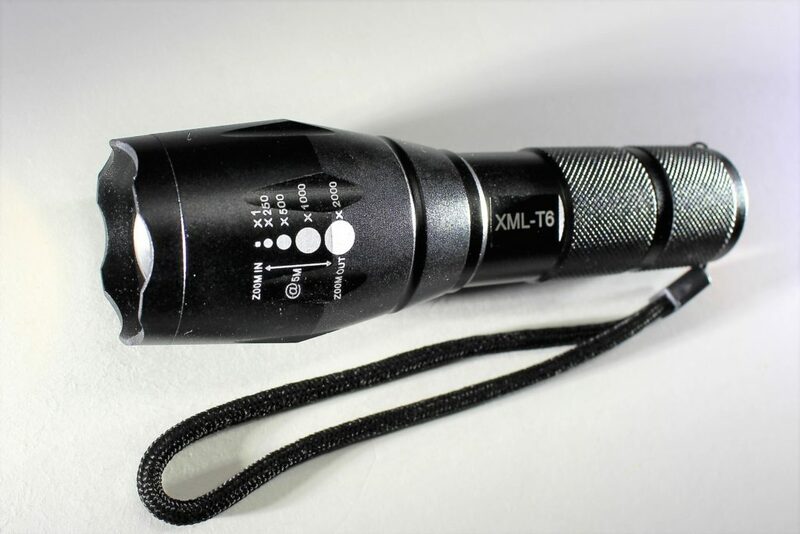 Finding a reliable, good performing flashlight doesn’t have to be a daunting task. Obviously it’s easier when the cheapest one pops up first. But try not to take the bait. The products discussed in this post, don’t identify as “generic”, but since they’re basically all the same, that’s what they are. All I suggest, is to look beyond that. Read a few of my reviews; and become familiar with NON-generic brands. Visit a flashlight board such as Candlepowerforums, and see what real flashlight people recommend! Buying generic flashlights is not spending money wisely. GIVING someone a generic flashlight as a gift, is even worse! Ask yourself; do YOU enjoy being GIVEN something that ultimately BREAKS? Before you buy a flashlight for someone, read this! Remember, generic flashlights are bad news, AND, you get what you pay for!! The 2016 Flashlight Giveaway Winners! Win FREE Stuff! 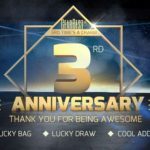 Celebrate with GearBest! It’s incredible the number of people that are fooled by this. 1 year ago I was almost buying this …..when I saw some review of some Fenix flashlights on youtube . 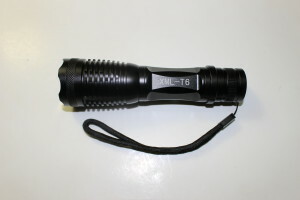 My first decent buy was a Thrunite T01, 1 single mode, twisty light, 125L output. Yes unfortunately once these little gems are discovered, addiction is often imminent! If it hadn’t happened to me, this website would not exist. You already started , this website is really helpful with a lot of good reviews and trustful information. Thanks for your comment Nuno! Talk about a flash light snob. Average Joe doesn’t need “the best” and won’t use a flashlight enough to warrant paying 10x what they can get a generic one for. I’m sure the expensive ‘brand name” lights are better, but you don’t need a Mercedes Benz to go to the local shop, and you don’t need a $200 flashlight to walk out to the wood shed on a winters night. Thanks for the comment… but you’re missing the point. This is what bothers me about people’s perceptions on these things. Where in the article did I say anything about spending $200??? There are NON-generic lights you can get, for $25! 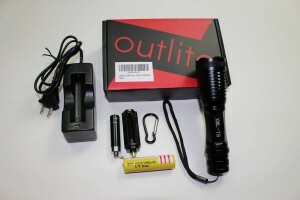 A GOOD performing, reliable flashlight, does NOT have to be a lot of money. The problem with these generic (cloned) lights is even with minimal use, they’ve been known to die unexpectedly. Many times, they aren’t even worth $10!! This is what people looking to buy a flashlight need to understand. GOOD QUALITY does NOT need to be expensive! It just needs to be a RELIABLE (non-generic) brand. It’s that simple. I would be very interested in buying a ‘good quality’ light for a comparable price to the generic ones. I have a couple of generic torches and two, what you might call ‘good quality’ ones (a LED lenser P14.2 and a Zebra Light H600w Mk2 head torch). Both the generic ones run on 18650 batteries and claim to use the XML-T6 led and the larger of the two performs just as well as the LED Lenser. The smaller one (similar to the one in your first photo above) cost me $5.99 and the larger one $19.60. That one runs on 2 18650s and for that price came with batteries, charger, remote switch and scope mount. Neither have failed (yet). Can you suggest a good quality equivalent for a similar price? Your advice would be much appreciated. Thanks for describing your flashlights. One thing you need to be careful of, is your 2×18650 light. Chances are, the batteries are “stacked” inside the light, which isn’t safe unless they’re perfectly matched in capacity, and if they came with the flashlight, there’s a good chance they’re not. Safe flashlights that use two 18650’s, do so with the batteries in parallel (side by side) not in a “series”. The torch that came with the two 18650 batteries are indeed ‘stacked’ Thanks for the warning. I will definitely let you know if either of these generic torches fail or catch fire. Also thank you for your recommendations, I followed your links, however both of these torches are 5-6 x the price of the generic single 18650 torch I have. This was my point in my initial post that you seem to have missed. For the same price as one of your recommendations I can have one generic torch in my car, one in the house, one in my tool box, one in my truck, one in the garage etc…. I am sure SOME generic flashlights DO fail, but as they say you get what you pay for and if one does fail one day I won’t cry. I wouldn’t take one on a week long caving trip but yes, I am happy to have a couple hanging around just in case I need one. Incidentally, the one torch I have owned that HAS failed was my LED Lenser P14 which was replaced under warranty with the P14.2. PS Great article about the best CREE LED. Thanks for the response Brent. Sorry if those recommendations are pricier that you’d hoped. In my memory I didn’t recall those as being expensive. Truth is, there aren’t really any single 18650 lights (which aren’t generic) that would sell for $20 (U.S.) or less. Some of the better ones have been closer to $30. In most cases, $50 (U.S.) is the average. This is why the heavily “cloned” types have sold so well. It’s often just luck, if the buyer gets one that works okay, and it lasts. Historically, they’re just more problematic that better quality lights. I tend to see this site as snobbish too however, it is not alone in the world of flashlight enthusiasts. Whilst much of these types of websites are edifying, there is definitely an air of contempt for the “average Joe or Jill” flashlight owner. I wonder how many of the flashlight experts have ever used their flashlight for its intended purpose, or needed to, other than boasting lumen output, throw, Lithium batteries, drivers etc.. Many people use a flashlight for work, breakdowns, power outages and in times of life threatening circumstances. I travel through an region of 43,000 square kilometers, with a population of 3,000, of which 2,100 live in a town. My route covers 900 kilometers round trip, in 13 hours, twice a week, delivering mail and freight in a V8 diesel, dual fuel tanks, 4X4 with large trailer attached. All on dirt roads, half of which are heavily corrugated. Seven hours of my route is night driving. The dust is like fog in the dry season and the fog is like, well fog, in the wet and the mud is like glue. Lithium driven flashlights are fine, in the right locations. I only use AA lights, Eneloop and alkaline batteries. Why, because lithium batteries are not readily available, they require care and I do not need 1 or 2 thousand lumens. I have four, $5 1 X AA zoomies, one $20 3 X AA zoomie, one magnetic cob work light, one $38 3 X AA thrower. These are all carried with me at work. It is called, be prepared. There is no cell phone coverage for most of the drive. The single AA zoomies have one mode, On/Off. Why, because I don’t have time to mess about clicking through modes when looking for parcels/freight on the back of the vehicle/trailer. Why zoomies, because they give a wide spill close up and can zoom out far enough to check the near vicinity, if need be. The big zoomie is three mode and more for breakdowns, flat tires etc..The thrower is for the obvious, scoping the far area, when needed. The flashlights get a pounding, both in the vehicle from the bad roads and general use. In times of breakdown, these lights get covered in oil, grease etc., as well dust, all the time. What is my point, well, these lights have stood the test, have not failed me and are cheap. These lights are used in real life, heavy duty work. Having 1000 lumens plus is of no use for everyday work like mine, or most others, I would think. My thrower is probably 300 lumens maximum and carries about 300 yards, which is sufficient. The small zoomies, 120 lumens and the big zoomie, 180 maybe. Electronic switches have their place however, in isolated places, I prefer mechanical. Easy to repair. Warmer tints are better for me as it easier to pick out detail in the countryside. My thrower is the only warm tint I have, as the other flashlights only come with cheap CW LED’s however, it is not essential they be warm tints. I understand the fascination with high powered flashlights however, it is irritating when the “enthusiasts” demean the Joes’, of whom,many, actually use flashlights for survival/safety, not a hobby. A resistor or two works wonders for making a cheapy D cell shine for weeks. Remember, be prepared. Who knows, you may need a Joe one day who has a cheapy alkaline/NiMH that still works. I appreciate your comment. And thank you for sharing about how your work is enhanced by your different flashlights. 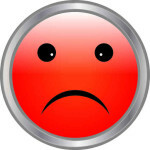 I’m sorry Lightsngear comes off as snobbish in your opinion. This is certainly not my intent. Lightsngear was developed as a way of informing buyers how technology has embraced the world of LED illumination. 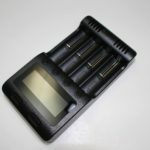 What I never expected to see, as I became intrigued with the new technology almost 20 years ago, was how the mass market would become flooded with very low cost, low quality flashlights and batteries. I understand how the lower prices have made the technology available to a wider consumer base, but what suffers in the meantime, is performance and quality. I can’t stress enough how important I believe those two elements are. The whole point of this post, is to illustrate how easy it is to be deceived when buying low cost products that often CLAIM to be much better than they actually are. And the other enormously important part, is to illustrate this fact to people who have no experience in them. This is perhaps where my “snobbishness” might appear, as I attempt to guide them so they don’t get ripped off from buying a poorly made product. If you examine the hundreds of 1-star Amazon reviews left for countless numbers of generic flashlights, you’ll see a trend of very unsatisfied buyers. The particular brands of lights YOU own, may be somewhat better that those that I usually speak disparagingly of. It is my belief however, even though you say otherwise, that a brighter light would enhance your daily work to an even greater extent than it does. I think if you TRIED a 1000 lumen light, you would SEE what you’ve been missing! I don’t doubt the tough performance you’ve received from your lights, but the chance exists that you’ve either been lucky, or that yours are simply built better than many of today’s budget lights. I don’t like to see people spending good money, on poorly made flashlights. Even worse, is people spending good money on flashlights that are clearly misrepresented! This is where Lightsngear comes in, to hopefully arm the consumer with the required tools, to be able to identify the good products from the fake ones, and not waste time and money in the process. Since buying some generic flashlights from SurvivalMerchant.com, I have come to know the difference between the generics, and the higher end flashlights. It is important for the really good flashlight companies to remain in business by being supported by knowledge and / or experienced flashlight people. I was going to sell my generics to a friend of mine for about the same money I paid for them, but now I am going to really reduce the price, and worn him about them. As I’ve stated before, it’s important for customers to know the differences from flashlights at different price points. But also to know what they’re getting, which is often a LOT LESS than what only a few extra dollars will buy from a higher quality brand.